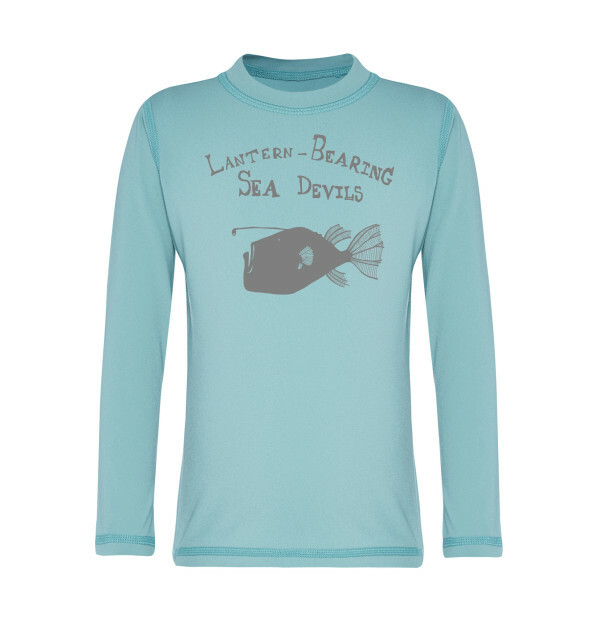 Long sleeved rashie in surf with Lantern Bearing Sea Devil Print. 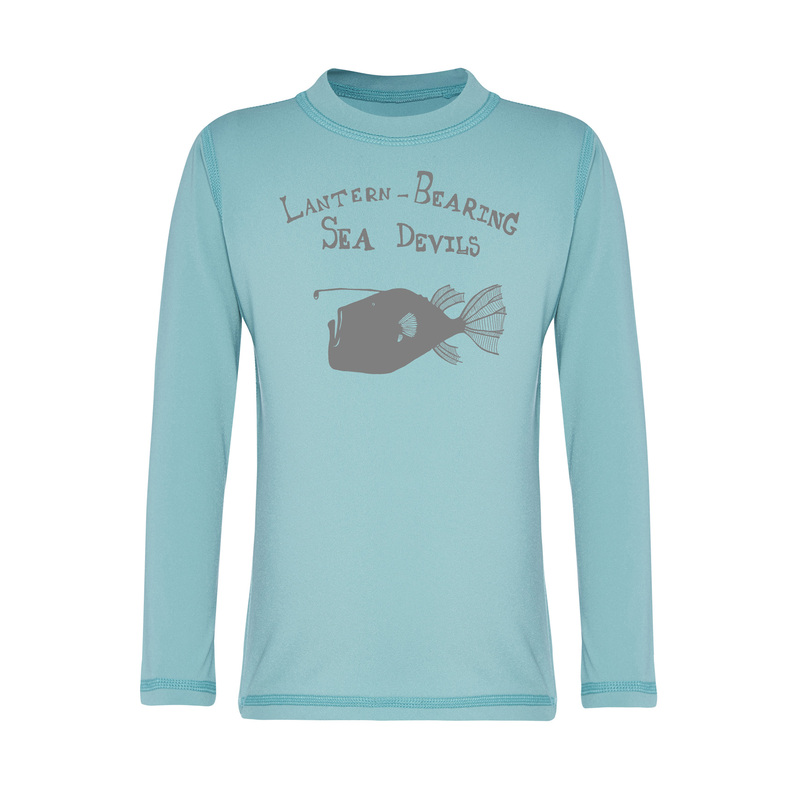 Long sleeved rashie in surf with Lantern Bearing Sea Devil Print. Ultimate protection and comfort. 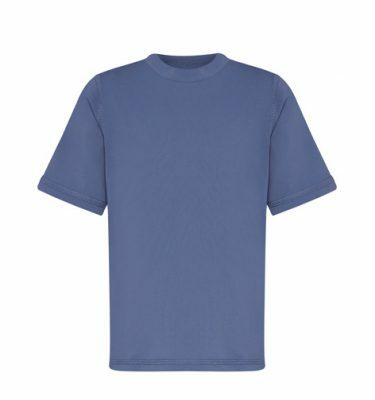 Made with polyester/pbt it is chlorine resistant and offers fantastic durability. Printed care label. *Our rashies fit the age they are labelled up to the next size. Eg. 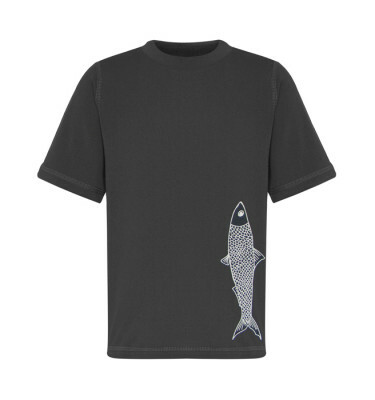 Size 2 fits age 2-3 years. Our rashies are unisex sizing so petite girls might want to go a size down. Our rashies are designed to be loose fitting. Size 6m -1 years have a zip at the center back. 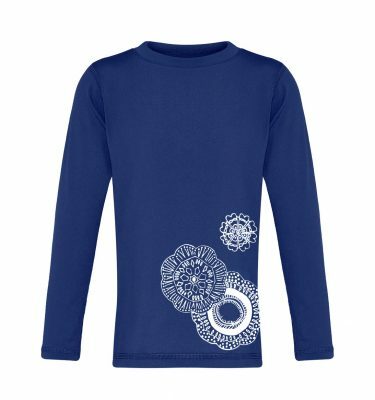 Long Sleeved Rashie in Navy blue with Scientific Jellyfish Print.